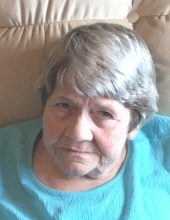 Carol Voth passed away on Saturday, January 26th, 2019 at Park Place Nursing Home. Cremation has taken place under O’Connor Funeral Home. No services are planned. Carol was born November 14th, 1939, in Great Falls, MT, to Glenn and Ruby Rose. She married Russ Honrud in 1960. They later divorced. She married John Voth in 1979. He preceded her in death. She is survived by sons Rick Honrud of Missoula, MT, David Honrud of Salt Lake City, UT, and daughter Joni Johnson of Conrad, MT, stepsons Rod Voth of Choteau, MT, Randy (Teresa) Voth of Ogden, UT, and stepdaughter Janine Keiper of Helena, MT, a sister Cheryl (Bill) Antonich of Simms, MT, 11 grandchildren, and 5 great-grandchildren. Donations may be made to Bright Eyes Animal Shelter, PO Box 1498, Choteau, MT 59422. Condolences may be shared with the family online at www.oconnorfuneralhome.com. To plant a tree in memory of Carol Voth, please visit our Tribute Store. "Email Address" would like to share the life celebration of Carol Voth. Click on the "link" to go to share a favorite memory or leave a condolence message for the family.